Paul J. Scheinberg, MD, has been named chief medical officer of Saint Joseph's Hospital, effective immediately. Scheinberg is a founding partner of Atlanta Pulmonary Group, and has been actively engaged in the practice of pulmonology and critical care medicine at Saint Joseph's Hospital since 1979. 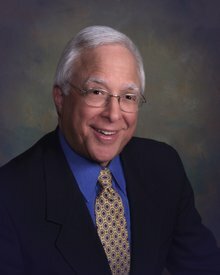 He is a leader in the field of lung cancer and has participated in numerous research studies advancing pulmonary care. Scheinberg previously served in a variety of medical staff leadership roles, culminating in his most recent position as chief of the medical staff and chief quality officer at the hospital. Scheinberg received his medical degree from the State University of New York Downstate Medical School. He completed his internship and residency in internal medicine at Emory University, followed by a fellowship in pulmonary diseases at Emory. He also served three years in the U.S. Navy as a flight surgeon. "Dr. Scheinberg is a well respected physician leader and steadfast patient advocate who has been a significant contributor to Saint Joseph's Hospital for more than 30 years," says Scott Schmidly, CEO of Saint Joseph's Hospital. "Having his collaborative leadership and focus on our quality initiatives, and his expertise and insights on our executive team, will only enhance the value we offer as a hospital."